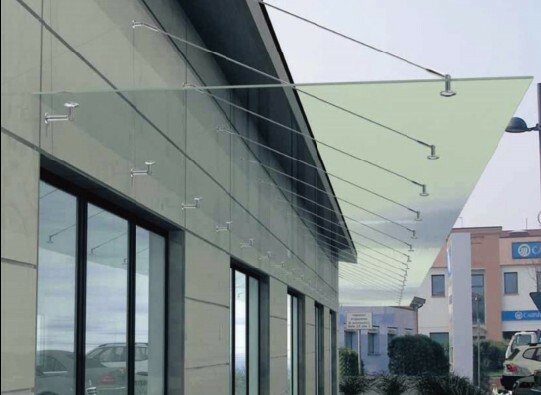 Simple, sleek glass canopies for a fresh architectural finish. 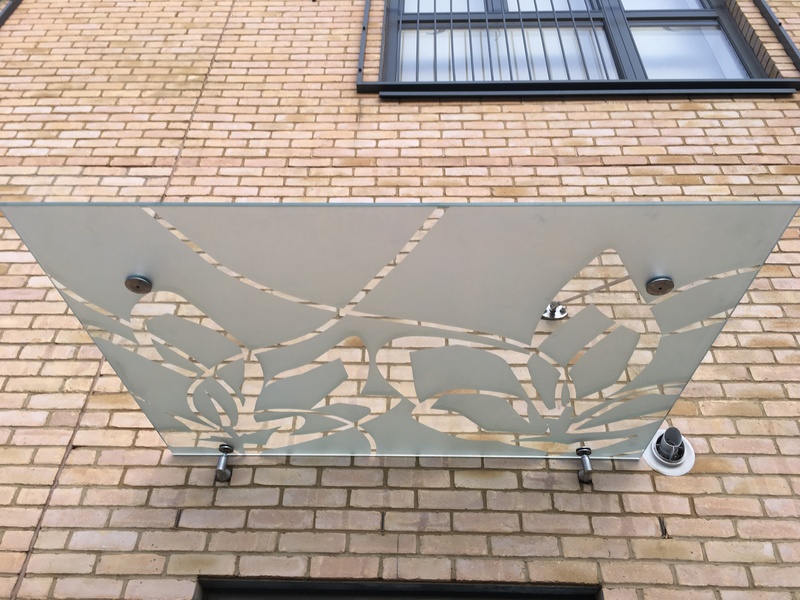 A frameless glass canopy is a great way to make a bold design statement over the entrance of any building or house, with all the unique benefits that glass has to offer. 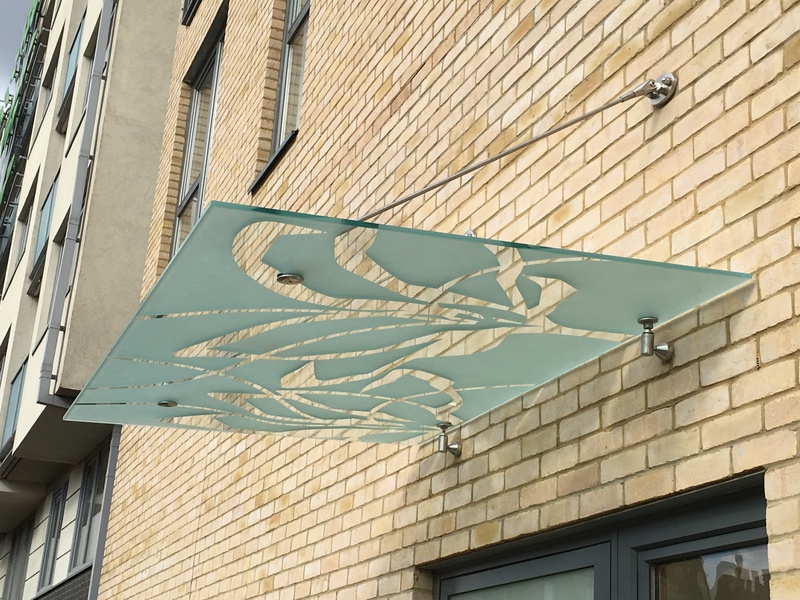 Our bespoke canopies can be supported on awning arms or suspended using tie rods and can come in any shape and size you desire. 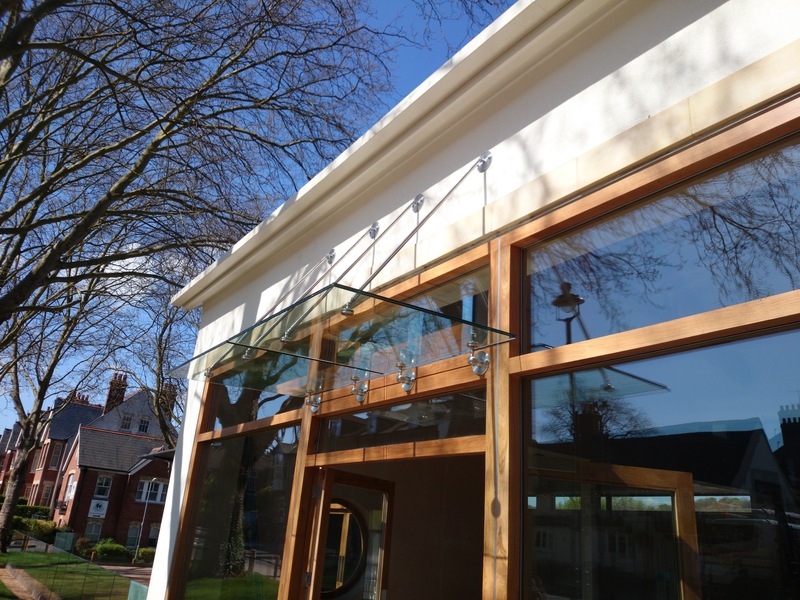 Our canopies also maximise the natural light and provide shelter from the elements. Glass has great light transmission, so there will be no shadows cast over your entrance. 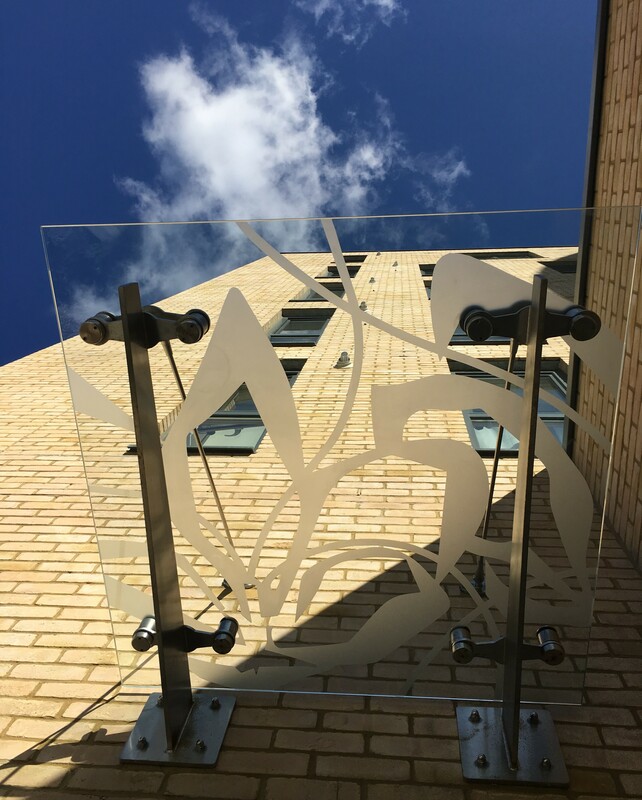 Glass can be tinted or printed with a design of your choice or even a company logo. The minimal fixings and unimposing glass create a stylish feature. 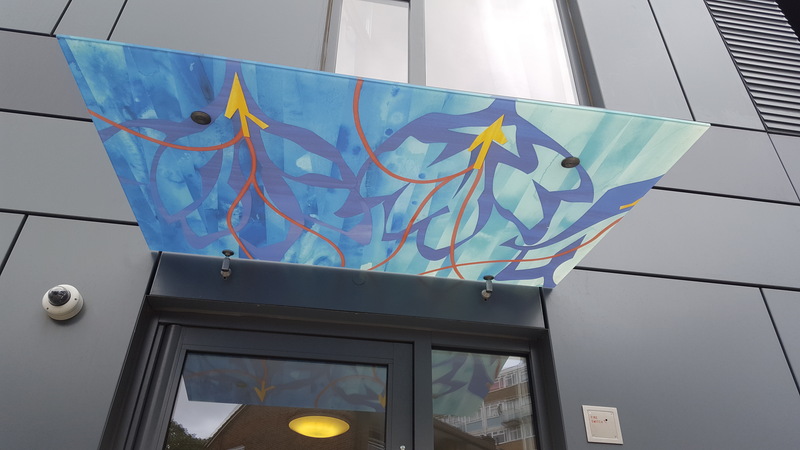 All canopies can potentially be subject to the additional stresses of wind and snow so it is important to correctly assess the right product for your location. 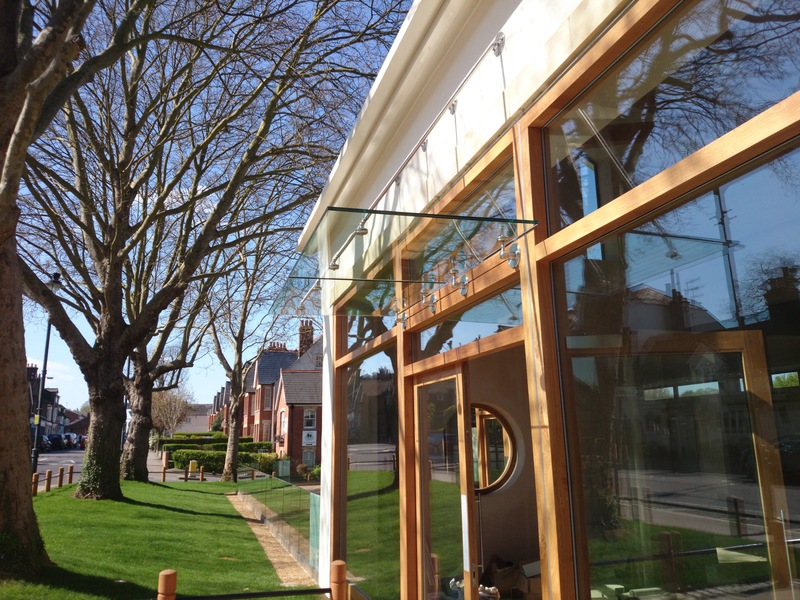 Billericay Glass will provide advice, work with your engineers and find the right solution for you.